Drupal 8 was officiall announced today on Nov 19th, and with it comes with over 200 enhancements and improvements to benefit both web developers and clients alike. 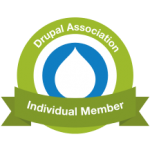 On February 24th 2016, Drupal.org will end support for version 6 of its content management system which was released in 2008, and will be instead focusing attention on continuing support of Drupal 7 and building towards Drupal 8. As with any technology, the natural progression of software support among organizations is to look ahead and shift focus towards future development. This article's focus is on the common need for both developers and clients for responsive images on their websites, not just for image fields but equally necessary for responsive inline images within text. Sun, Nov 2 This article covers setting up Drush on shared hosting accounts, which may require some custom configuration in order to access those tools remotely. As any web developer can attest, formatting user uploaded images is a regular task with almost every project. Some of the most common challenges are formatting an image, whether it be tall or wide, to become a square or squarish image. The trouble is, when it comes to photographs of people, how can you setup an automated way to format these pics to a standard size without cutting people's heads off?! The trick is find a common focus and crop that works for both types of images. Responsive and adaptive website layouts, commonly referred to as RWD and AWD, have been a growing necessity in web design for years now, but although the terms are arguably familiar there is still confusion around what the differences between these layouts are why they are important in modern web development. This article will explain the differences between these designs and why they are important for your website or your client's websites. Drupal and WordPress are two of the most common CMS's out there and along with Joomla are the most often compared systems. Note, however that there are literally thousands of CMS's out there!! This article will focus on these popular systems and try to answer the question: Which is the right choice and how do you decide which is better? First of all, it's important to avoid getting caught in the 'which is better' conversation, because that is far too general an approach and ultimately not very useful. There are many tutorials out there for creating maps in Drupal but most of them focus on just one layer on a map. This tutorial is for creating one map with multiple, switchable layers complete with pop-ups and a title. This tutorial covers creating a primary map based on one main content type and also adds an additional layer for a user's profile. This is a lengthy but thorough tutorial and I'll try to add images or a video at some point soon. The basic premise is this: A content type with two complementary fields pass address data to Openlayers which displays those maps on a Views page. Raj created a beautiful modern design, and the CMS is a breeze to work with.